French Feudal. Poitou. Immobilized type fo Charles the Simple. ca. 930 to 1100. Silver denier. Denomination : Silver denier. Mint : Melle. Reference : D 960 v.
Size : 21.3 x 22.4 mm. Weight : 1.06 grams. 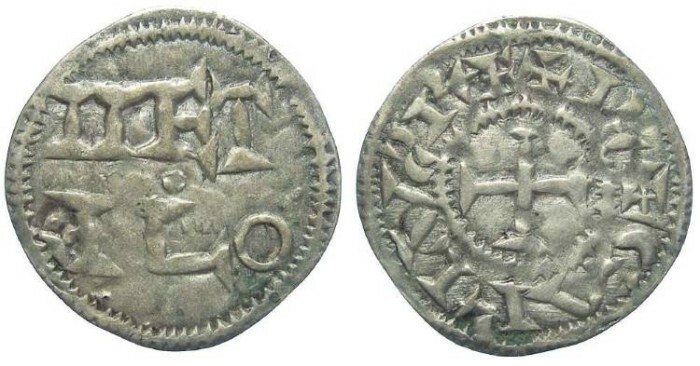 Obverse : Short cross with CARLVS REX around. Reverse : METALO in two lines.